Saint Joseph High School had 12 student-athletes attend the annual IHSAA Leadership Conference in Indianapolis in June. The students participating included Dominic Appleton, Thomas Pries, Ike Herendeen, Michael Anthony, Saul Garcia, Riley Fraleigh, Addison Quinn, Grace Quinn, Eden Dolezal, Hannah Goerke, Lydia Schaeffer, and Maddie Yergler. Michael Anthony has been named to the 2017 IHSGCA all-state team for boys golf. 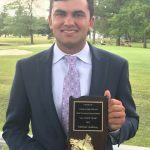 He had a solid season including top three finishes in the Flo Troeger Memorial, Uebele Invitational, and the IHSAA sectional plus medalist finishes at the Kaeppler Memorial and SBCC invite. Congratulations on this fantastic achievement!! 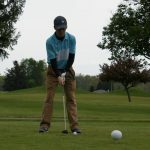 The boy’s golf team suffered a tough loss to Plymouth. Rainy, messy weather ended the match with a final score of Plymouth 158 and Saint Joe 163. 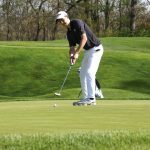 The Saint Joseph High School boys golf team beat Marian and lost to Penn. Final scores: Penn 154, Saint Joe 172, and Marian 190. The varsity boys golf team beat New Prairie with a final score of 169-180. The junior varsity also won with a final score of 185-234. Go, Indians! 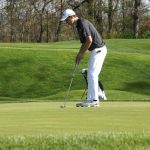 The Saint Joseph High School boys varsity golf team beat Bremen and Glenn. Final scores were Saint Joe 164, Glenn 173, and Bremen 189. 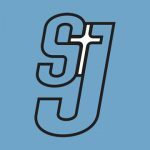 Saint Joe results (164): Michael Anthony 34, Lucas Kanczuzewski 48, JP Raster 44, Paxson Campbell 43, Campbell Jones 43. Go, Indians!